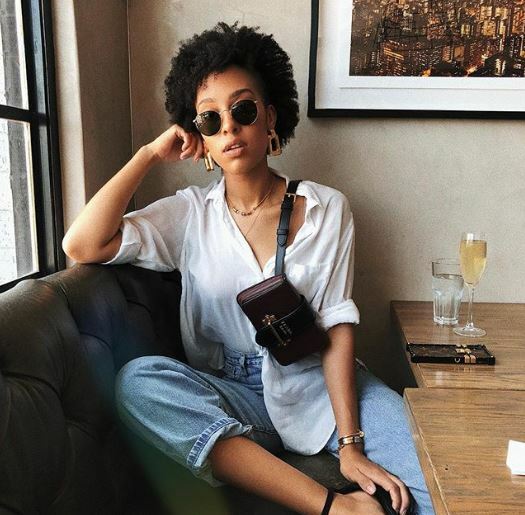 Fashion blogger Sarah Langa reacts on her Insta-stories to critics on age gap in her marriage. Sarah is married to businessman Jehan Mackay for 3 years and there’s being no hitch between them. However, critics attacked her for the 17-year age gap between herself and her husband. The star response during a question and answer session on insta-stories shows that she cares less of people’s perception on that. “I would love to say that age ain’t nothing in my relationship, but the reality is that people always find a way to make it a thing. Being young and married to someone older you will always be judged.” She wrote. Sarah says she cares less of age when in search of a partner.